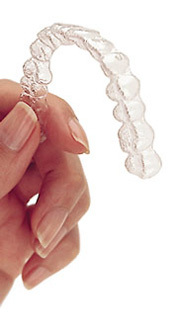 Consider Invisalign® to get the beautiful straight teeth you’ve always wanted — without braces. A complimentary consultation with one of our doctors can determine if Invisalign® is right for you. Invisalign® uses a series of invisible, removable, and comfortable aligners that no one can tell you’re wearing. So you can smile more during treatment as well as after. 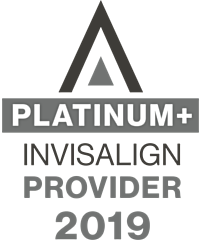 Invisalign® is made with 3D computer imaging technology and has been proven effective. More than 70% of orthodontists in the US and Canada are certified to treat with Invisalign®. No metal and wires usually means you spend less time in the doctor’s office getting adjustments. Invisalign® also allows you to view your own virtual treatment plan when you start, so you can see how your straight teeth will look when your treatment is complete.